The following is a guest post by Kyle L. Evanoff, research associate for International Institutions and Global Governance at the Council on Foreign Relations. A moonshot is on the rise on the Donald J. Trump administration’s foreign policy agenda. At last month’s meeting of the National Space Council in Huntsville, Alabama, Vice President Mike Pence laid out an ambitious goal: “Return American astronauts to the moon in the next five years”—a date which would be well ahead of the 2028 target envisioned in previous NASA plans. The United States and China are locked in a new space race, he warned, and the stakes have only increased since the U.S.-Soviet space race of the 1960s; the United States must be first to send astronauts to the moon in the twenty-first century. 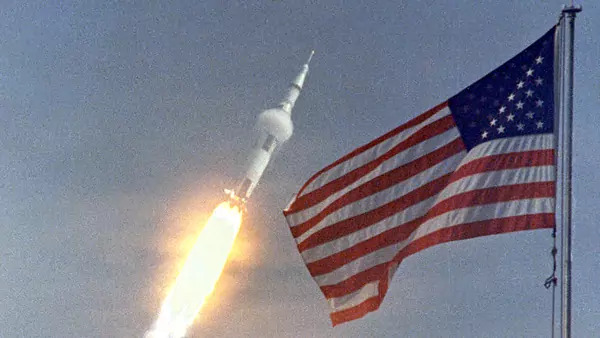 The vice president’s antagonistic rhetoric fails to cohere with the realities of contemporary space exploration and the dictates of sound policy making. The alleged space race between the United States and China is under-substantiated and overblown, and the moon’s strategic value—Pence’s insistence to the contrary—is dubious at best. Any moonshot, expedited or otherwise, will achieve little-to-nothing in the way of furthering U.S. foreign policy aims. I explain why in a new article for the Bulletin of the Atomic Scientists.